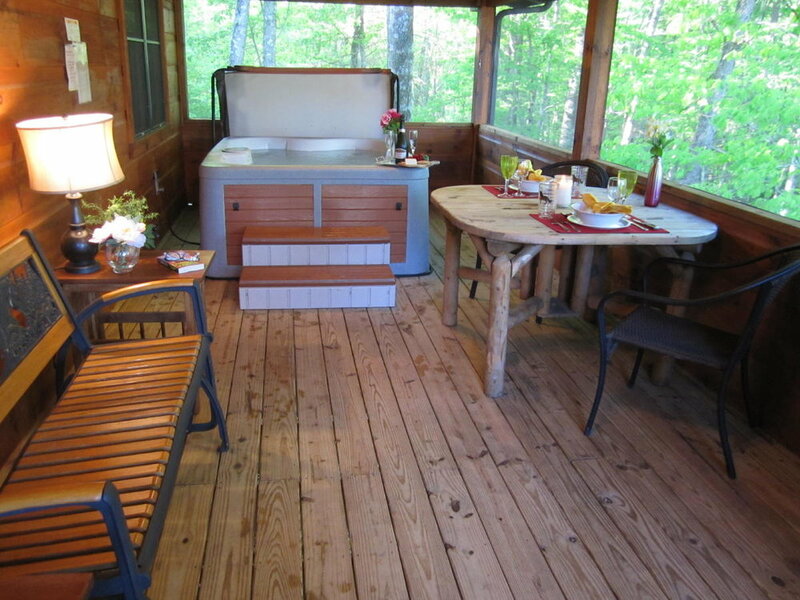 A humble, pet-friendly cabin that awakens adventure. 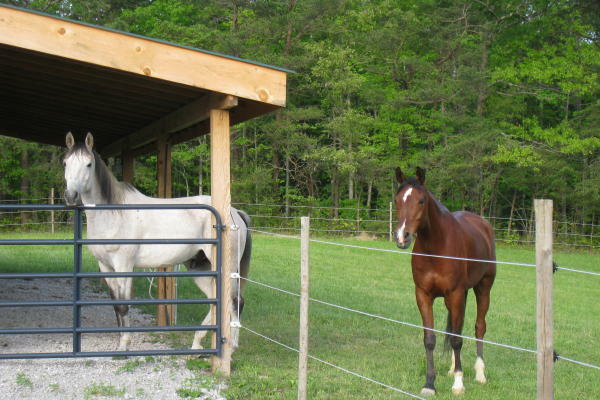 Arabian Nights located just outside the entrance of Laurel Fork Rustic Retreat in Jamestown, TN. 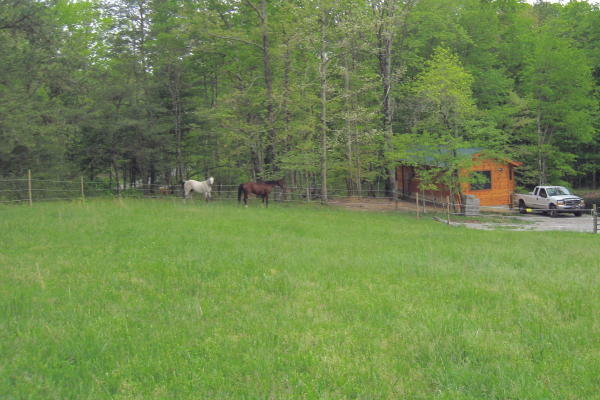 This cozy cabin has horse stables on site and immediate access to horse trails that travel deep within the 123,000-acre Big South Fork National River and Recreation Area. Hiking trails are also nearby, providing access to many of Big South Fork's scenic mountain streams, waterfalls, rock houses and natural arches. 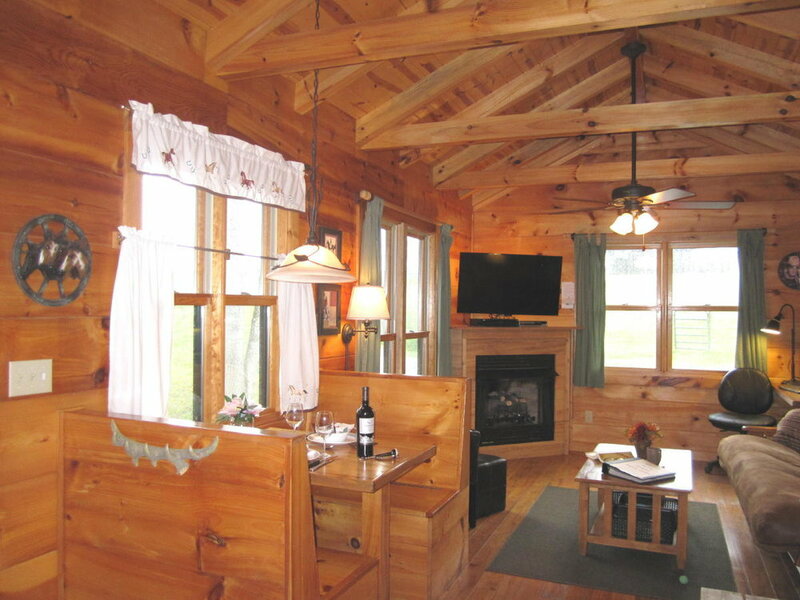 Arabian Nights is 600 square feet, with one bedroom — including a king bed and sleeps two people comfortably. 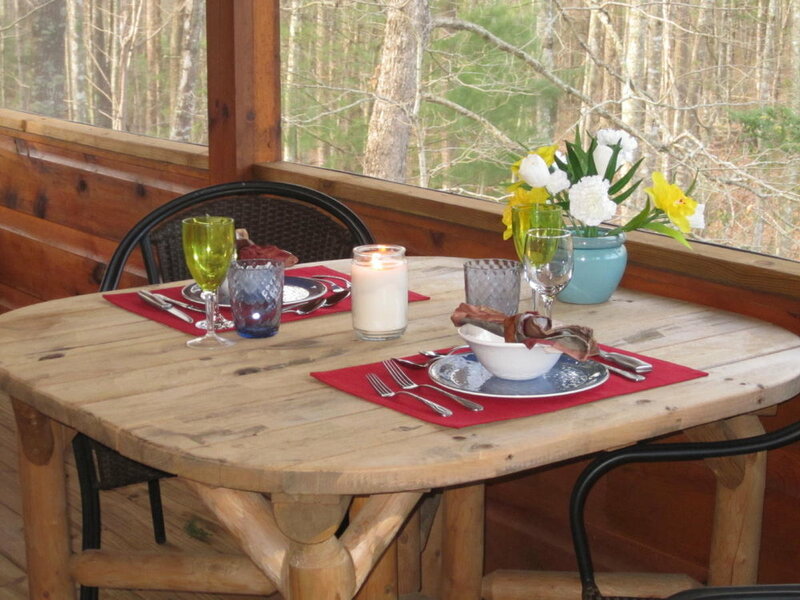 Pets are permitted (additional fee) and the cabin has a fully-equipped kitchen with Keurig coffee maker (coffee provided), gas log fireplace, covered/screened front porch, with a hot tub for relaxing. 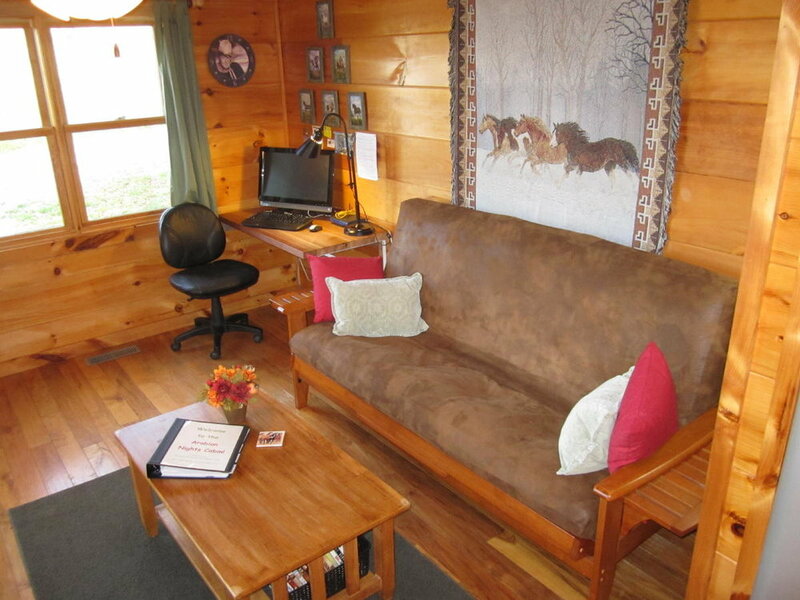 Arabian Nights also features Wireless Internet, along with satellite television located in the living room. The towns of Oneida and Jamestown are located close by. 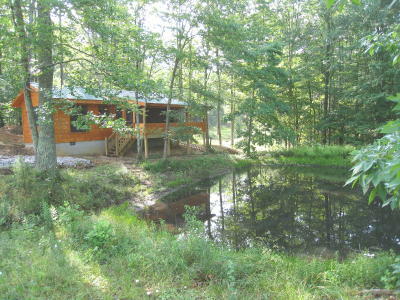 Arabian Nights includes two 12 ft. by 12 ft. horse stables at the cabin with water and electric. The fee is $12 per horse per day. A wire fenced corral is available for use. No stallions (stud horses) are allowed — no exceptions. Items included with stall rentals include water, electricity, manure fork, shovel, rake and wheelbarrow. Renters are required to provide their own feed, feeding and watering buckets and bedding. 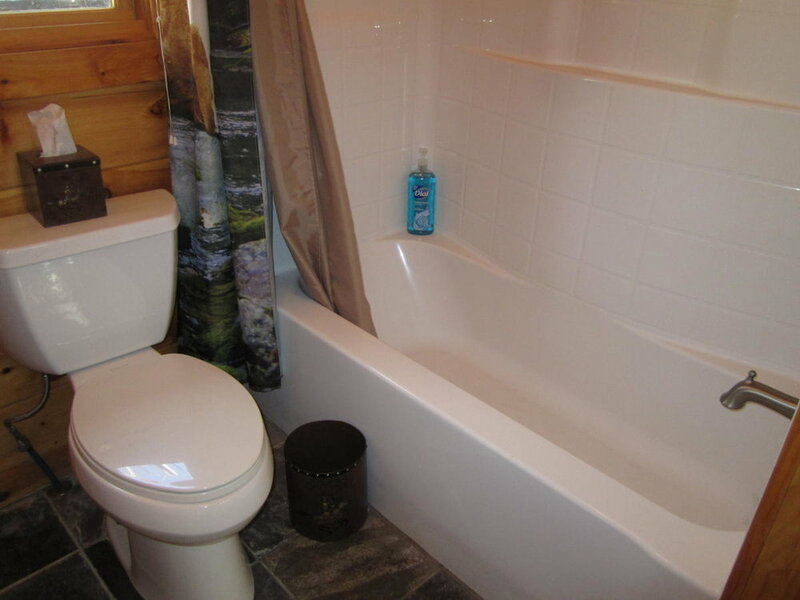 Renters must clean the stall(s) upon departure. 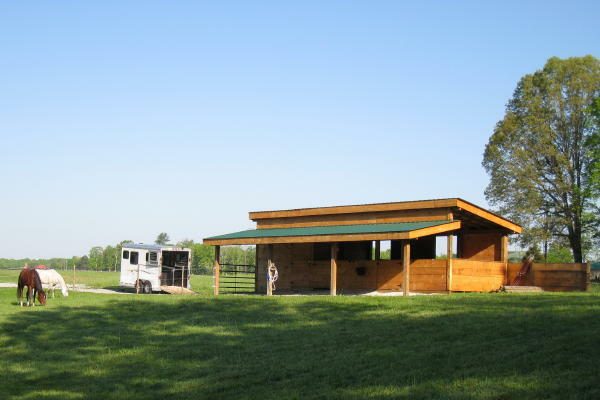 In order to keep the facility clean, well maintained and low-priced, a $15 fee per stall will be charged if not cleaned upon departure! Rates for Arabian Nights are $100 + tax per night for 2 people. 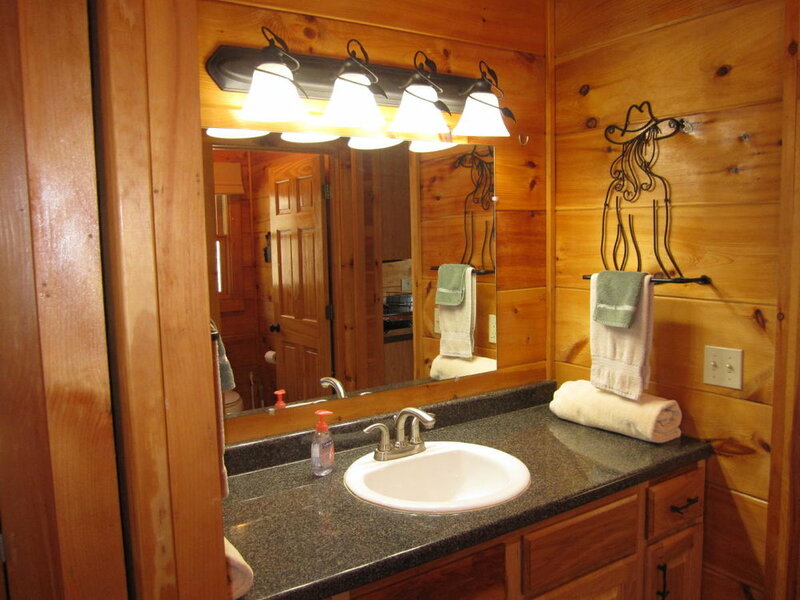 There is a $40 cleaning fee and a $30 non-refundable processing fee per reservation. A $12 fee applies per horse per day. A $25 fee applies per pet per visit (limit: 2 pets).